Food waste management is a big problem in all countries, especially affluent ones. There are numerous places which generate large amounts of food waste including hotels, restaurants, malls, residential societies, canteens, airline caterers, markets etc. 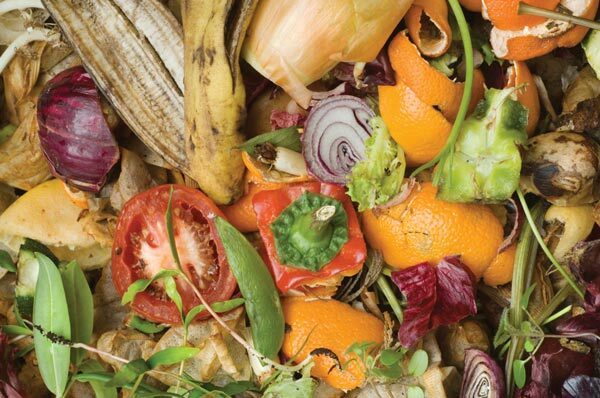 A proper food waste management strategy needs to be devised for them to make sure that either they are disposed off in a safe manner or utilized efficiently. The feedstock for the food waste-based biogas plant includes leftover food, vegetable refuse, stale cooked and uncooked food, meat, teabags, napkins, extracted tea powder, milk products etc. Raw waste is shredded to reduce to its particle size to less than 12 mm. The primary aim of shredding is to produce a uniform feed and reduce plant “down-time” due to pipe blockages by large food particles. It also improves mechanical action and digestibility and enables easy removal of any plastic bags or cling-film from waste. Fresh waste and re-circulated digestate (or digested food waste) are mixed in a mixing tank. The homogenized waste stream is pumped into the feeding tank, from which the anaerobic digestion system is continuously fed. Feeding tank also acts as a pre-digester and subjected to heat at 55-600C to eliminate pathogens and to facilitate the growth of thermophilic microbes for faster degradation of waste. From the predigestor tank, the slurry enters the main digester where it undergoes anaerobic degradation by a consortium of Archaebacteria belonging to Methanococcus group. The anaerobic digester is a CSTR reactor having average retention time of 15 – 20 days. The digester is operated in the mesophilic temperature range (33 – 38°C), with heating carried out within the digester. As per conservative estimates, each ton of food waste produces 150 – 200 m3 of biogas, depending on reactor design, process conditions, waste composition etc. Biogas contain significant amount of hydrogen sulfide (H2S) gas which needs to be stripped off due to its corrosive nature. 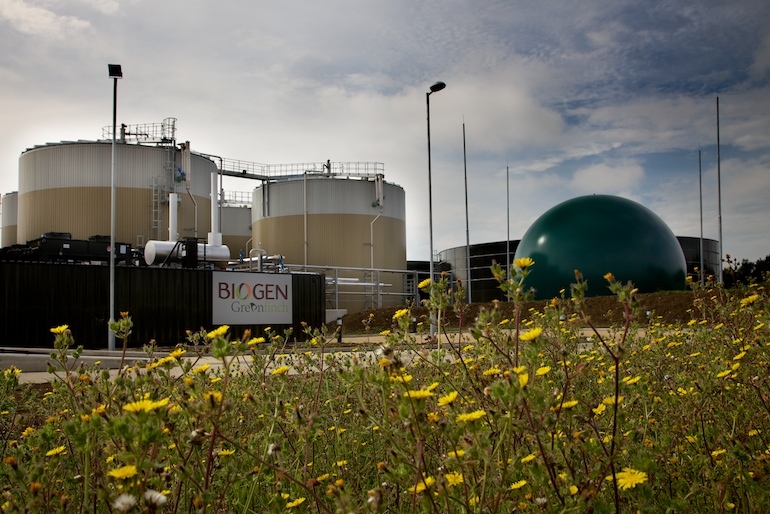 Biogas is eventually utilized in a combined heat and power (CHP) unit for its conversion into thermal and electrical energy in a co­generation power station of suitable capacity. The exhaust gases from the CHP unit are used for meeting process heat requirements. The digested substrate leaving the reactor is rich in nutrients like nitrogen, potassium and phosphorus which are beneficial for plants as well as soil. Food waste is a multi-faced issue which is getting more attention. Petsonally, I have a pasdionate interest in this field. My MSc thesis covers mainly household food waste. I have conducted an environmental and techno-economic assessment for food waste treatment options in Oxford city. My research covers IV-composting, home composting, AD, gasification, and incineration. AD is the most attractive option due to the generous incentives from the UK government. Home composting van play a key role in the future but more work should be done in terms of the social factors. Thanks for thia interesting article. my comment was typed via my phone. My apologies for any spelling problems. Your articles on bio-waste to energy are the best in the domain. Thanks!